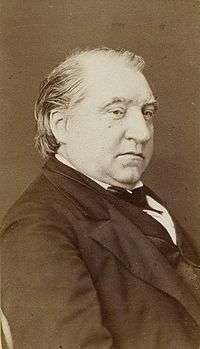 Joseph Ernest Renan (French: [ʁənɑ̃]; 28 February 1823 – 2 October 1892) was a French expert of Semitic languages and civilizations (philology), philosopher, historian, and writer, devoted to his native province of Brittany. He is best known for his influential historical works on early Christianity, and his political theories, especially concerning nationalism and national identity. Renan is credited as being among the first scholars to advance the Khazar theory, which held that Ashkenazi Jews were descendants of Turkic peoples who had adopted Jewish religion and migrated to Western Europe following the collapse of their khanate. In 1840, Renan left St Nicholas to study philosophy at the seminary of Issy-les-Moulineaux. He entered with a passion for Catholic scholasticism. The rhetoric of St Nicholas had wearied him, and his serious intelligence hoped to satisfy itself with the vast and solid material of Catholic theology. Thomas Reid and Nicolas Malebranche first attracted him among the philosophers, and, after these, he turned to G.W.F. Hegel, Immanuel Kant and J.G. Herder. Renan began to see an essential contradiction between the metaphysics which he studied and the faith he professed, but an appetite for truths that can be verified restrained his scepticism. "Philosophy excites and only half satisfies the appetite for truth; I am eager for mathematics", he wrote to Henriette. Henriette had accepted in the family of Count Zamoyski an engagement more lucrative than her former job. She exercised the strongest influence over her brother. In La Réforme Intellectuelle et Morale (1871), Renan tried to safeguard France's future. Yet, he was still influenced by Germany. The ideal and the discipline which he proposed to his defeated country were those of her conqueror—a feudal society, a monarchical government, an elite which the rest of the nation exists merely to support and nourish; an ideal of honor and duty imposed by a chosen few on the recalcitrant and subject multitude. The errors attributed to the Commune confirmed Renan in this reaction. At the same time, the irony always perceptible in his work grows more bitter. His Dialogues Philosophiques, written in 1871, his Ecclesiastes (1882) and his Antichrist (1876) (the fourth volume of the Origins of Christianity, dealing with the reign of Nero) are incomparable in their literary genius, but they are examples of a disenchanted and sceptical temper. He had vainly tried to make his country obey his precepts. The progress of events showed him, on the contrary, a France which, every day, left a little stronger, and he roused himself from his disbelieving, disillusioned mood and observed with interest the struggle for justice and liberty of a democratic society. The fifth and sixth volumes of the Origins of Christianity (the Christian Church and Marcus Aurelius) show him reconciled with democracy, confident in the gradual ascent of man, aware that the greatest catastrophes do not really interrupt the sure if imperceptible progress of the world and reconciled, also, if not with the truths, at least with the moral beauties of Catholicism and with the remembrance of his pious youth. Karl Deutsch (in "Nationalism and its alternatives") suggested that a nation is "a group of people united by a mistaken view about the past and a hatred of their neighbors." This phrase is frequently, but mistakenly, attributed to Renan himself. He did indeed write that if "the essential element of a nation is that all its individuals must have many things in common", they "must also have forgotten many things. Every French citizen must have forgotten the night of St. Bartholomew and the massacres in the 13th century in the South." Renan's work has especially influenced 20th century theorist of nationalism, Benedict Anderson. During old age, the philosopher contemplated his childhood. He was nearly sixty when, in 1883, he published the autobiographical Souvenirs d'Enfance et de Jeunesse, the work by which he is now best known in France. Hugely influential in his lifetime, Renan was eulogised after his death as the embodiment of the progressive spirit in western culture. Anatole France wrote that Renan was the incarnation of modernity. One of his greatest admirers was Manuel González Prada in Peru who took the Life of Jesus as a basis for his anticlericalism. In his 1932 document "The Doctrine of Fascism", Italian dictator Benito Mussolini also applauded perceived "prefascist intuitions" in a section of Renan's "Meditations" that argued against democracy and individual rights as "chimerical" and intrinsically opposed to "nature's plans". Renan believed that racial characteristics were instinctual and deterministic. He has been criticised for his antisemitic claims that the Semitic race is inferior to the Aryan race. Renan claimed that the Semitic mind was limited by dogmatism and lacked a cosmopolitan conception of civilisation. For Renan, Semites were "an incomplete race." Some authors argue that Renan developed his antisemitism from Voltaire's anti-Judaism. However, he did not regard the Ashkenazi Jews of Europe as being a Semitic people; Renan is credited with launching the so-called Khazar theory. This theory states that Ashkenazim had their origin in Turkic refugees that had converted to Judaism and later migrated from the collapsed Khazar Khanate westward into the Rhineland, and exchanged their native Khazar language for the Yiddish language while continuing to practice the Jewish religion. In his 1883 lecture "Le Judaïsme comme race et comme Religion" he disputed the concept that Jewish people constitute a unified racial entity in a biological sense, which made his views unpalatable within racial antisemitism. Renan was also known for being a strong critic of German ethnic nationalism, with its antisemitic undertones. His notions of race and ethnicity were completely at odds with the European antisemitism of the 19th and 20th centuries. ↑ Kaufmann, Alfred (1924). "Renan: The Man," The Catholic Historical Review, Vol. 10, No. 3, pp. 388-398. ↑ Loth, Joseph (1892). 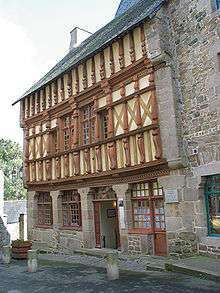 "Renan au Collège de Tréguier," Annales de Bretagne 8 (1), pp. 124-9. ↑ Galand, René (1959). L'Âme Celtique de Renan. Presses Universitaires de France. ↑ Wright, Terence R. (1994). "The Letter and the Spirit: Deconstructing Renan's "Life of Jesus" and the Assumptions of Modernity," Religion & Literature, Vol. 26, No. 2, pp. 55-71. ↑ Pitt, Alan (2000). 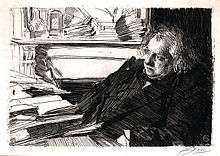 "The Cultural Impact of Science in France: Ernest Renan and the Vie de Jésus," The Historical Journal, Vol. 43, No. 1, pp. 79-101. ↑ Hammerton, J.A. (1937). Outline of Great Books, New York: Wise & Co., p. 998. ↑ As of this writing, WorldCat reports 115 different editions of the book in 1426 different libraries. ↑ Baird, William (1992). History of New Testament Research: From Deism to Tubingen. Augsburg: Fortress Press, p. 382. 1 2 3 4 Susannah Heschel (2008). The Aryan Jesus: christian theologians and the Bible in Nazi Germany. Princeton University Press. p. 34–. ISBN 978-0-691-12531-2. Retrieved 31 May 2013. ↑ Chadbourne, Richard M. (1968). 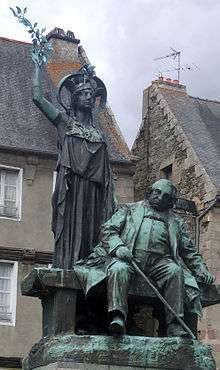 Ernest Renan. New York: Twayne Publishers, p. 68. ↑ "Renan's 'Vie de Jesus'," The Dublin Review 2, January/April 1864, pp. 386-419. ↑ Cochin, Augustin (1863). 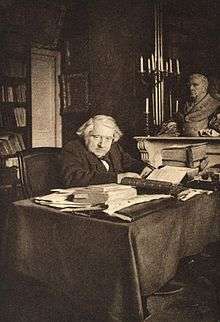 Quelques mots sur la Vie de Jésus de M. Ernest Renan. Paris: Douniol. ↑ Several of the books of Henri-Joseph Crelier have polemical titles naming Renan. ↑ The Doctrine of Fascism by Benito Mussolini Complete text of the essay "Dottrina" (Doctrines). ↑ Catalogue, Ernest Renan (1823–1892) un Celte en Orient, Musée d’Art et d’histoire, Musée de Bretagne, 1992, Ville de Saint-Brieuc, Ville de Rennes. ↑ Olender, Maurice (1992). The Languages of Paradise: Race, Religion, and Philology in the Nineteenth Century. Harvard University Press. ↑ Susannah Heschel (2008). The Aryan Jesus: christian theologians and the Bible in Nazi Germany. Princeton University Press. p. 30–. ISBN 978-0-691-12531-2. Retrieved 31 May 2013. ↑ "I am therefore the first to recognize that the Semitic race, compared to the Indo-European race, truly represents an inferior combination of human nature. "—Arvidsson, Stefan (2006). Aryan Idols: Indo-European Mythology as Ideology and Science. University of Chicago Press, p. 107. ↑ "The Racial Motif in Renan's Attitude to Jews and Judaism", in: S. Almog (ed. ), Antisemitism Through the Ages, Oxford, 1988, pp. 255–278. ↑ Le Judaïsme comme Race et comme Religion: Conférence faite au Cercle Saint-Simon. Paris: Calmann Lévy, 1883. ↑ Mian, Aristide (1945-46). "Renan on War and Peace," The American Scholar, Vol. 15, No. 1, pp. 90-96. ↑ Antichrist. London: Walter Scott, Ltd., 1900, pp. 126-127. ↑ From Ernest Renan, "La Reforme Intellectuelle et Morale". Paris: Calmann-Levy, 1929. ↑ Césaire, Aimé (2000). Discourse on Colonialism, Joan Pinkham, trans. New York: Monthly Review Press, pp. 37–8. ↑ "What is a Nation?" In: The Poetry of the Celtic Races, and Other Essays. London: The Walter Scott Publishing Co., 1896, pp. 61-83. ↑ Preface to The Future of Science. London: Chapman & Hall, 1891. ↑ The Future of Science. London: Chapman & Hall, 1891. ↑ Manceron, Gilles (2005). Marianne et les Colonies: Une Introduction à l'Histoire Coloniale de la France. Editions La Découverte.